DR Power Chippers are pretty well known for their construction and durability, but their size and price keeps them out of reach for most home and property owners. 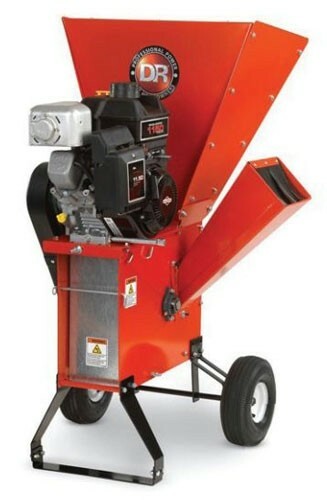 The company has recently added a couple of smaller versions of their popular chippers that are intended for home owners in need of serious yard clean up. The new chipper/shredder additions are the 250cc Briggs and Stratton powered DR 11.50 Premier and the 305CC Briggs and Stratton 14.50 Pro. The 11.50 is designed for consumers with occasional chipping and shredding tasks, and can handle garden leftovers, leaves, prunings, and even larger branches up to 2" thick. The Premier can easily be rolled around the yard on its pair of wheels like a hand cart. The 14.50 Pro is a mid-sized unit designed to manage larger properties and can be towed behind and ATV or lawn tractor. The larger 14.50 can chip branches up to 3" thick. The DR 11.50 Premier and the 14.50 Pro have a list price of $1,899 and $2,099 respectively. DR Power Equipments admits that there are cheaper brands available, but that they do not have the power or the speed that DR Chippers offer, and can easily get bogged down. 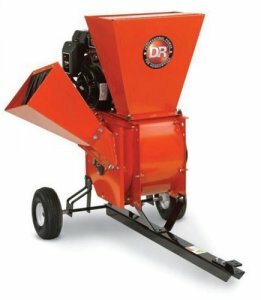 If you want to produce your own landscape gold in the form of garden mulch or landscaping woodchips, you might want to consider a Dr Chipper.